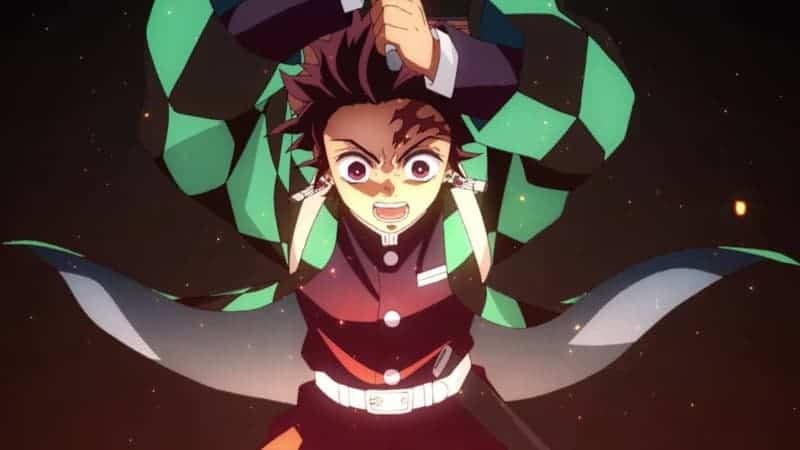 The latest Shonen Jump anime, DEMON SLAYER: KIMETSU NO YAIBA, lives up to the manga’s hype with an emotional premiere. The initial episodes provide a fantastic set up that both attract newcomers as well as excites fans of the series. Studio Ufotable beautifully translates Koyoharu Gotouge‘s art into a masterful animation that outclasses fellow Jump anime. Despite brief moments of unsettling CGI, the primary art style enraptures the viewer, luring them deep into the world of DEMON SLAYER. 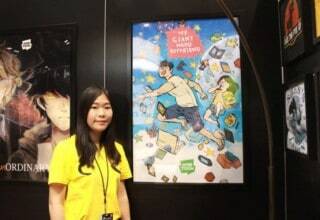 While the manga was originally launched in the “Jump Start” section of Weekly Shonen Jump in early 2016, its ongoing series was not announced until 2017. 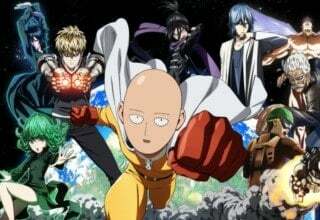 Since then, the manga has grown in popularity due to its unique art style and great characters. 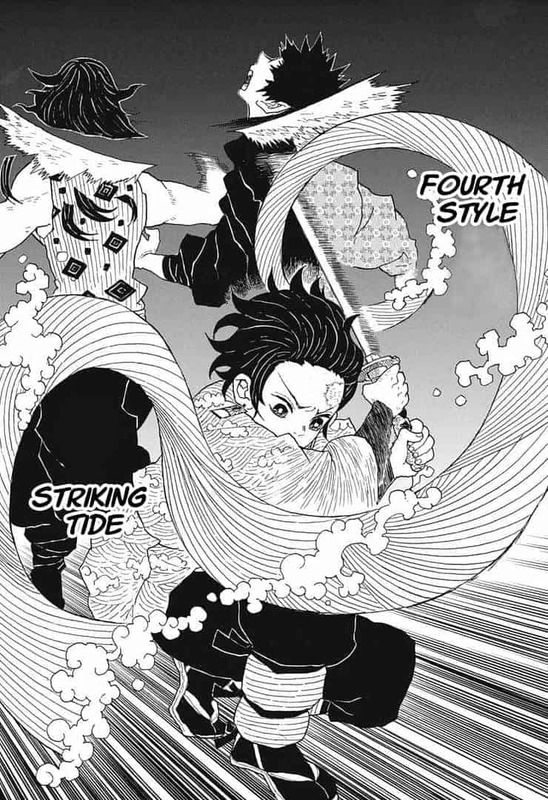 Although DEMON SLAYER: KIMETSU NO YAIBA is Koyoharu Goutage’s first published ongoing series, it does not disappoint. With over 100 chapters of the manga and 2 episodes of the anime, it is climbing the Shonen Jump ranks. 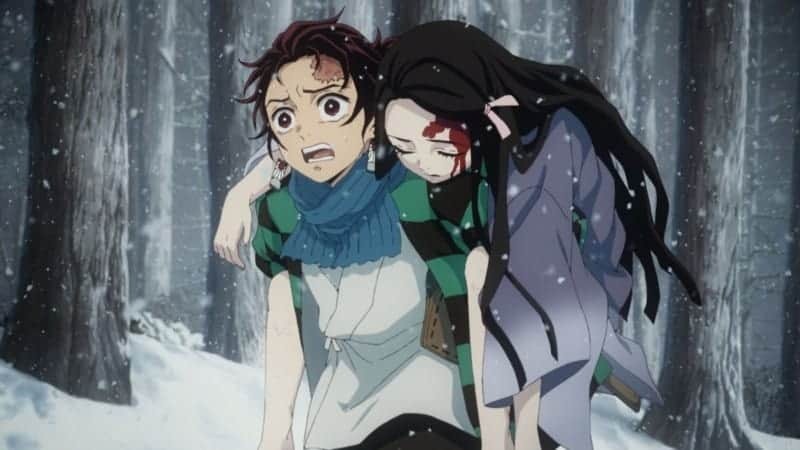 The anime opens to a boy, Tanjiro, carrying his severely wounded sister, Nezuko, through a snowy forest. It did not take long to realize they endured a terrible trauma. However, the episode flashes back to a heart-warming introduction to the rest of their family. As we are introduced to Tanjiro’s mother and siblings, we become attached to them due to their glaringly deep connection and love. This scene, while it encompasses the peaceful ambiance of a happily-ever-after, induces a terrifying premonition of doom. After leaving his home to earn money for his family, Tanjiro returns to discover a grim scene that changes his life forever. In order to save his sister Nezuko, he embarks on a journey he never could have imagined. The second episode follows up the sentimental premiere with a humorous yet action-packed episode. 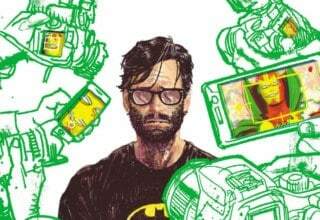 While the trauma from the first episode outweighs the second, it does not lack any of the emotional connection. As we follow Tanjiro and Nezuko through the beginning of their journey, we witness a hint of the hardships that await them. The first of which is a man-eating demon they find enjoying a grotesque meal. This is the first time we have seen demon bbesideNezuko, as well as the first real battle of the series. 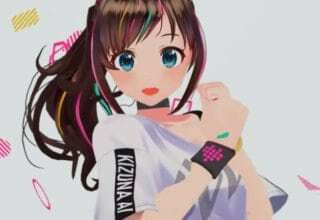 While only two episodes of the anime have been released, they both suggest the high ceiling of the series. Through a combination of sentiment and action, DEMON SLAYER: KIMETSU NO YAIBA’s premiere episodes excite viewers for the future of the series. Despite its short length, DEMON SLAYER’s first episode excellently connects viewers to the cast’s emotions. In the brief introduction to Tanjiro and his family, we learn of their past trauma and their incomparable love. Due to the loss of their father, Nezuko, Hanako, Shigeru, Takeo, and Rokuta all look to Tanjiro as an example. While we have less than 5 minutes to meet the Kamado family, we quickly learn just how much they mean to one another. This creates a strong sentimental connection to the cast that intensifies the viewer’s empathy when tragedy befalls the family. 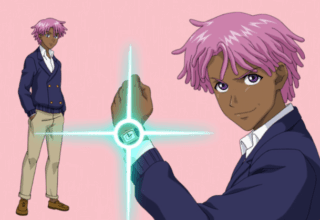 Although fans of the manga already know how the episode will unfold, they do not miss out on the emotional response that strikes first-time viewers. Having already read the manga, I can affirm this without hesitation. Not only did I feel a stronger connection to these characters, I felt a sensation of chills throughout my entire body as I followed Tanjiro through the horror of his family’s fate. While my sympathy for the Kamado family heightened, my emotions would not stop there. 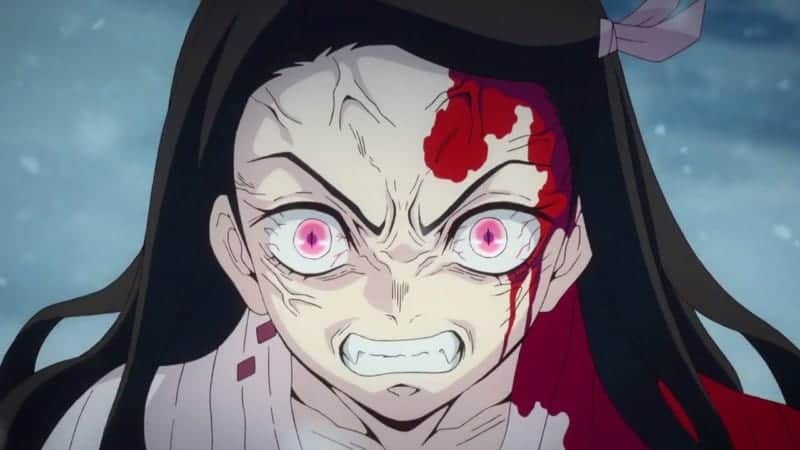 Following this gruesome incident, we witness tear-jerking sentiment between Nezuko and Tanjiro that argues for the power of their family’s bond. After attempting to carry his injured sister to safety, Tanjiro learns that Nezuko is now a demon. As he struggles to defend himself from his sister’s attack, he starts crying, begging her to fight for her humanity. While his plea inspired sentiment, Nezuko’s emotional response nearly brought me to tears myself. While the first episode of DEMON SLAYER mainly connects with the viewer through tragedy, the second utilizes humor. The comical scenes from the second episode lighten the mood and suggest that the series goes beyond grim tragedies. At various moments throughout the episode, I found myself chuckling despite the ominous atmosphere. 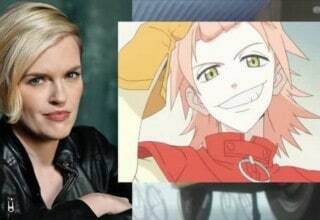 The humor of the second episode exposes different emotions in the viewer, connecting them to the characters through more than just empathy. Furthermore, Tanjiro’s light and caring personality contrasts with the world around him. This contradiction balances the series between horror and humor. For example, while the second episode features scenes of comedy, we still witness the horrifying fantasy of man-eating demons. After stumbling upon a demon in the midst of eating, Tanjiro and Nezuko experienced their first battle. The fight displays the terrifying ability of demons and foreshadows Tanjiro’s struggle with his morality. In addition, the battle exemplifies the amazing animation of the series, making viewers want more. 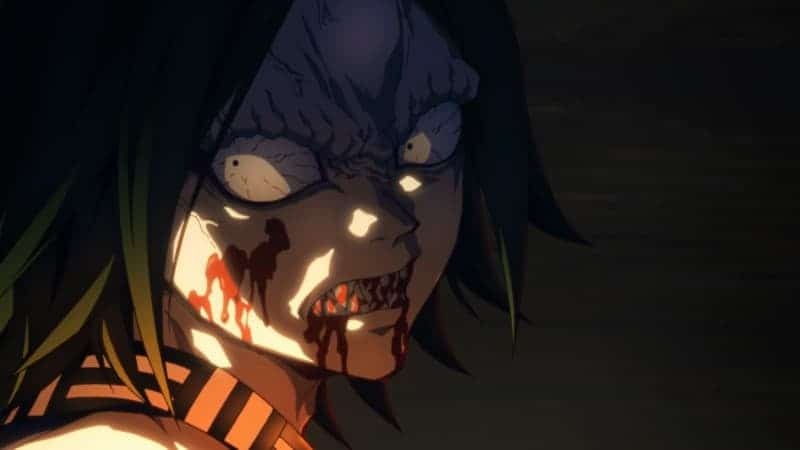 Studio Ufotable’s animation in DEMON SLAYER: KIMETSU NO YAIBA is a wonder to behold. The clear and colorful art style mesmerizes viewers. Brief occasions of poor CGI are the only flaws in the animation. These short scenes make Tanjiro look like a creepy marionette being forced to move. However, these moments make up a minimal part of the premiere and are completely overshadowed by the primary art style. Both action and dialogue scenes in DEMON SLAYER enrapture the viewer through vibrant colors and smooth transitions. Movement, whether a fighting leap or a sip of tea, seems fluid and natural. 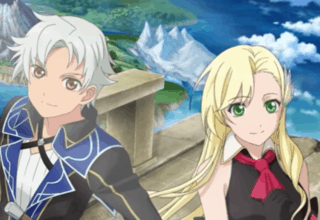 Furthermore, the vivid colors of the character’s designs contrast the white snow that surrounds them. This aesthetic is easy on the viewer’s eyes and also clearly distinguishes characters from the environment around them. While Studio Ufotable’s animation deserves much of the credit, Koyoharu Gotouge’s character designs and manga art made this beauty a possibility. DEMON SLAYER: KIMETSU NO YAIBA does a fantastic job of transitioning a great manga into an even better anime. As a fan of the manga, I wasn’t sure how well Koyoharu Gotouge’s art style would transition from page to screen. Once I saw the initial trailer for the series, I knew there was nothing to worry about. Studio Ufotable takes Gotouge’s unique art style and transforms it into a beautiful animation without losing any of its individuality. In addition, I have highly anticipated the animation for this Tanjiro’s water breathing fighting style since first reading the manga. After witnessing a short clip of this fighting style in the anime’s opening, it is apparent that it will add even more personality to the series. Furthermore, the voice-acting featured in the first episode perfectly matches voices with the manga character’s personalities and designs. While we have only met two of the main characters that DEMON SLAYER follows, those two and all of the supporting cast’s voices accurately fit their manga counterparts. 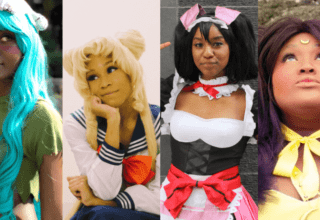 The voice acting finds a balance between character accuracy, originality, and distinctiveness. The animation and voice acting’s magnificence alongside a great introductory story leaves viewers clawing at the door for more DEMON SLAYER. But these are not the only aspects of the manga that transition magnificently to the anime. In addition to the animation and voice acting, Gotouge’s creativity with fighting styles and abilities also transitions well. While DEMON SLAYER’s concept of a demon-filled world may feel unoriginal, Gotouge makes up for it with her vivid imagination. Despite having only seen clips of the demons and fighting styles in the anime’s opening, it is clear they are a major part of the series. As the third episode of DEMON SLAYER: KIMETSU NO YAIBA approaches my yearning to see more increases. There are so many aspects of the series that we have yet to see. 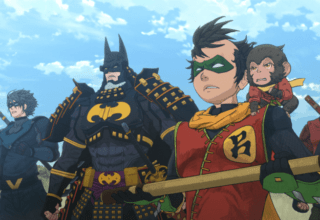 The Demon Slayer Corps, Tanjiro’s water breathing, and the many unique abilities of demons separate this series from others in its genre. Koyoharu Gotouge has truly created one of the next great Shonen Jumps. Overall, the anime’s premiere episodes astonished me both visually and emotionally. For the episode’s short amount of run-time, their surprisingly sentimental evocation deeply connects the viewer to the characters. 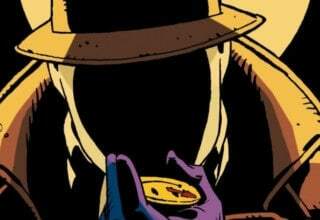 We are introduced to the main cast, the traumas that drive them, as well as the dangers of the world around them. In addition to the strong plot and characterization, the gorgeous animation of the premiere astounds the viewer. DEMON SLAYER: KIMETSU NO YAIBA is more than worth the time to watch and will surely be among the top recent Shonen Jump anime. The opening episodes of DEMON SLAYER: KIMETSU NO YAIBA inspire emotion through a beautiful duality of story and art that leaves viewers wanting more.